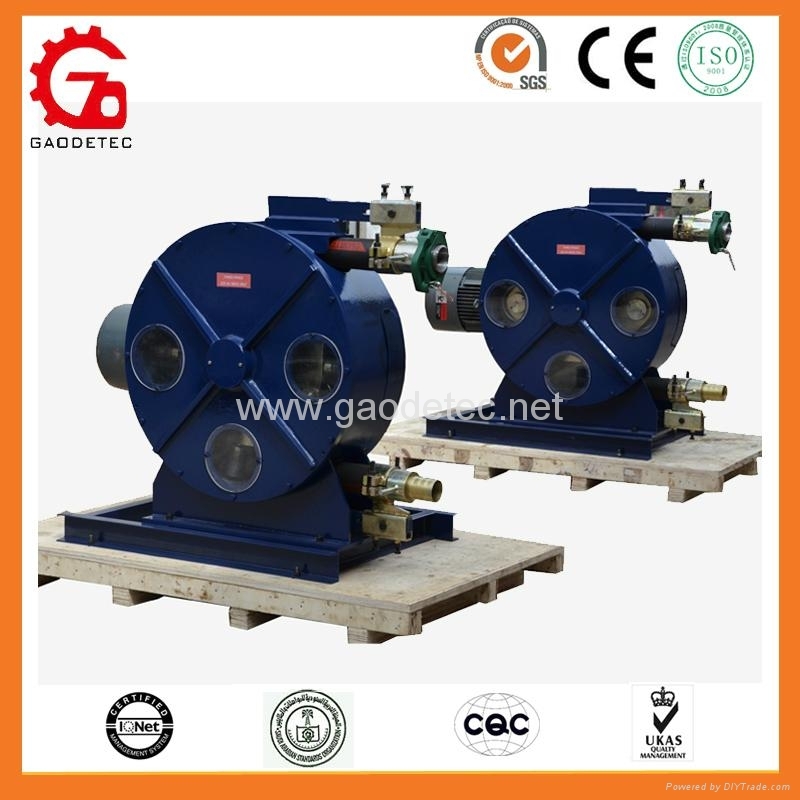 GH series industrial hose grout pump (squeeze pump) consists mainly of pump house, rotor, roller, idle roller, squeeze tube and driving unit. 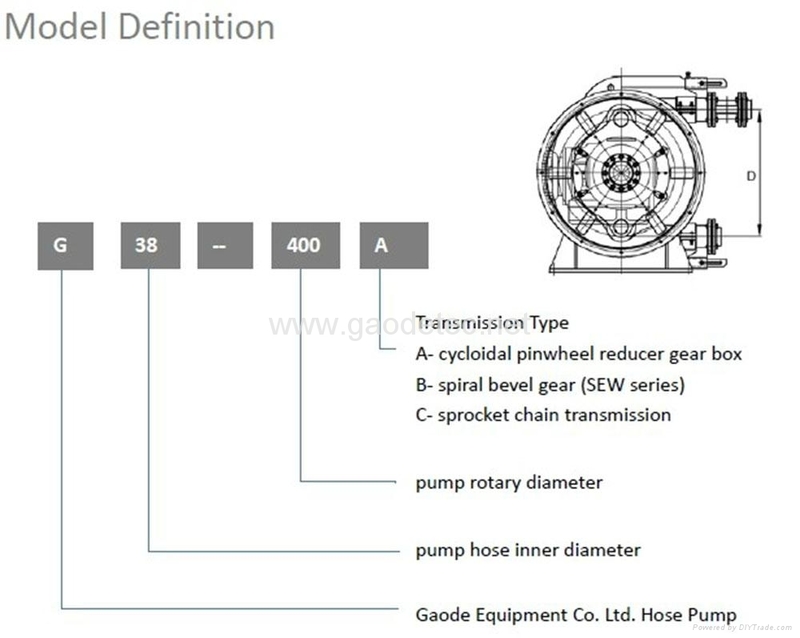 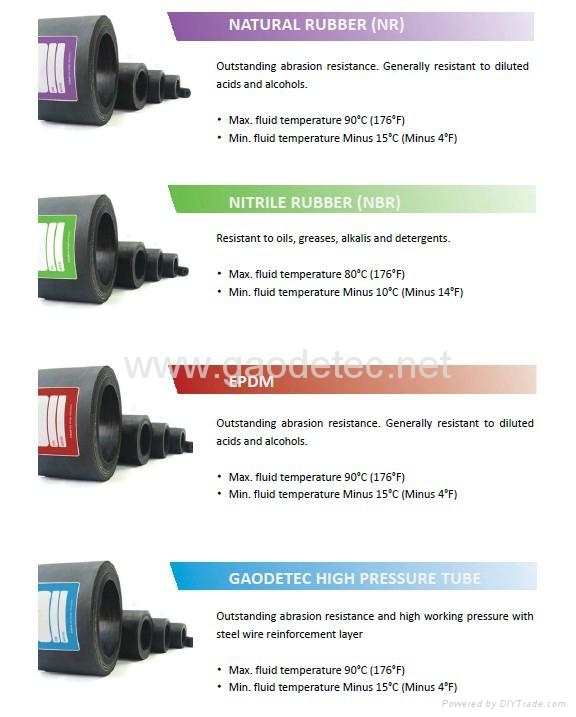 The squeeze hose is U-shape in pump house, when rotor drives roller to rotate, hose is deformed. 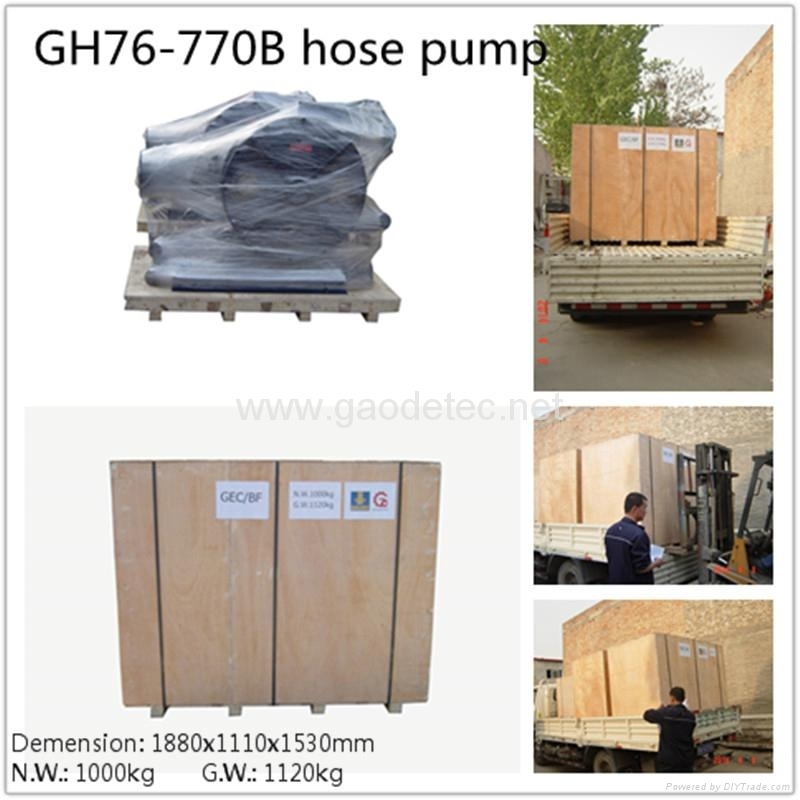 After the roller rotate, the deformed hose recover by its elasticity. 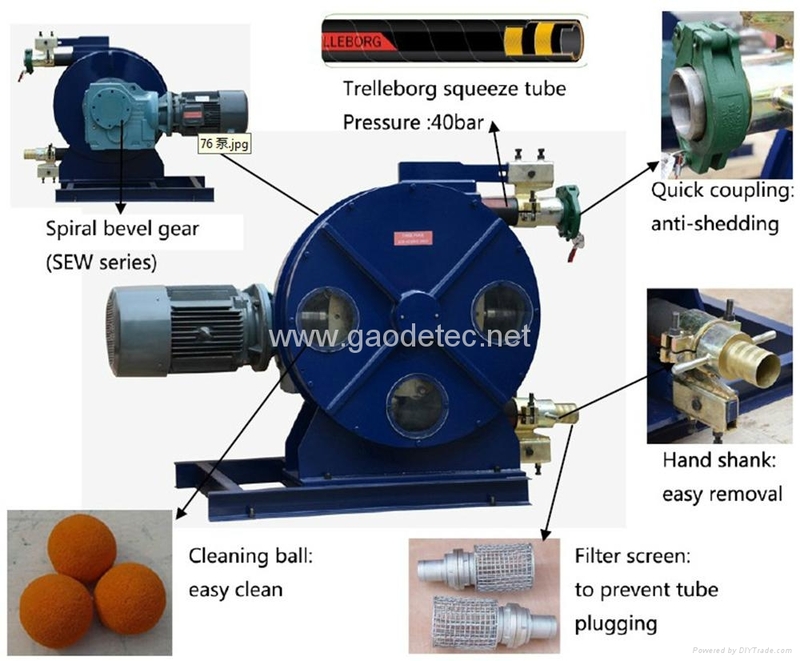 Thus the negative pressure in this hose is generated, sucking slurries, and discharging through outlet under roller’s push, finally forms pressure conveying of slurries.